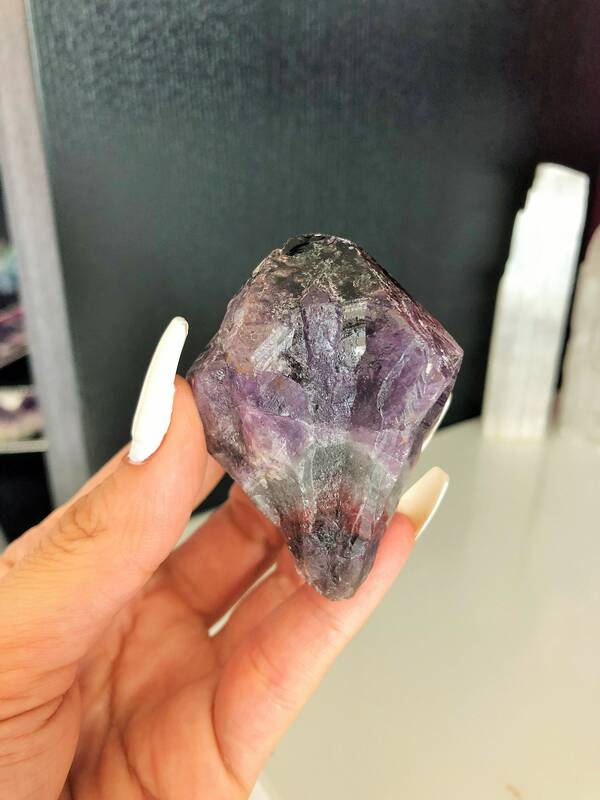 Super 7 Crystal aka Melody’s Stone is a combination of Amethyst, Clear Quartz, Smoky Quartz, Cacoxenite, Rutile, Goethite and Lepidocrocite which makes it a very powerful stone. It shares the healing and metaphysical properties of each. Super Seven is considered to be remarkable because it has the unique ability to simultaneously connect us to Higher States and ground us firmly in physical reality. 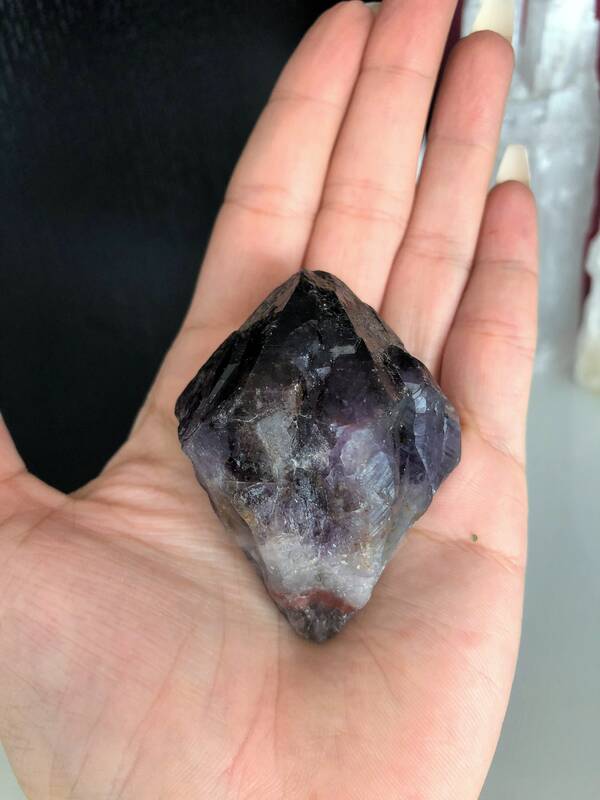 This Listing includes the ONE super seven crystal. The same one seen in the pictures. 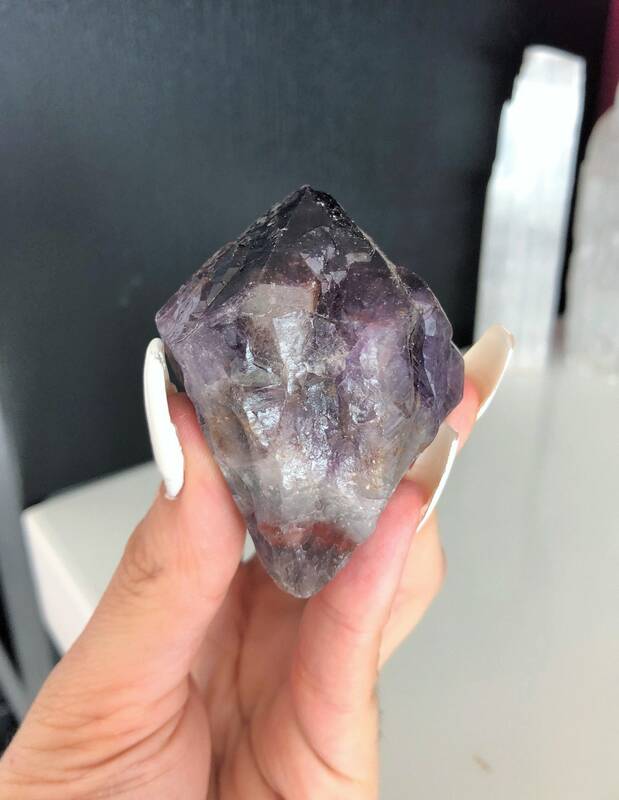 In addition, Super Seven is said by crystal healers to be a stone of Universal Humanity, fostering strong bonds of brotherhood and sisterhood and bringing the connection between individuals to the forefront of consciousness. It aids personal ascension by assisting one in developing their psychic gifts, especially psychic knowing, which will aid in taking the right path for spiritual elevation. Want to see our collection of Super Seven Crystals?